Delaware may be small and unassuming, but this tiny state lies on the cutting edge of the gambling industry. Not only does The First State offer a healthy selection of gambling entertainment options to their residents and visitors, but they were also one of only four states in the US that was legally permitted to offer state-licensed sports betting, and one of the first states to legalized online casino and poker gambling. State leaders have successfully negotiated interstate online gambling compacts with Nevada, allowing them to benefit from the shared customer base. Yes, Delaware knows how to play their cards when it comes to gambling. On June 5th, 2018, Delaware launched domestic sports betting across the state. This was an expansion of sports betting that was already in place before PASPA was struck down. Now residents can place single-game wagers on sporting events. Delaware’s sportsbook gambling opportunities remain a popular form of legal betting entertainment among sports fans. Though several forms of state-based online gambling services are legally approved in Delaware. 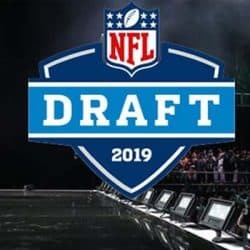 This guide was created specifically to assist Delaware sports fans in successfully navigating the unique nuances contained in the sports betting industry in this tiny state. 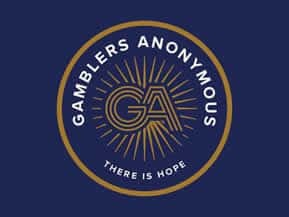 We provide valuable insight and knowledge that will help Delaware gamblers to make informed decisions regarding their involvement in legally sanctioned online sports betting opportunities. 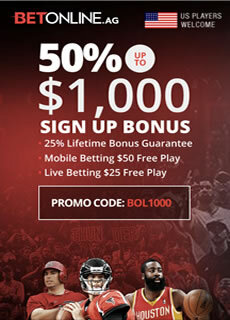 Betonline is our featured online sportsbook that welcomes all Delaware players and provides an exceptional environment for betting on your sport of choice. They are a giant in the industry and have an stellar reputation, so trust me you are in good hands. They were one of the first brands to have an online gambling presence and they bring a wealth of experience and expertise to the game. There are a lot of reasons why players love betting at Betonline. Below are just a few. Delaware is one of only four US states that was legally permitted to offer state-regulated sports betting options to residents and visitors who are physically located within the state’s borders. The state’s sportsbook gambling opportunities were legally grandfathered in when the federal government offered the state exemption from the Professional and Amateur Sports Protection Act (PASPA). As a result, parlay sports bets were legally permitted in Delaware through their lottery system. PASPA was repealed in 2018 and since Delaware has expanded their domestic sportsbooks to include single-game wagers. The Federal Wire Act effectively prohibits state-regulated online sports betting activities across the country, including Delaware. This means that Delaware lawmakers are not able to offer state licensed online sportsbook gambling to other states, even if they wanted to. Their progressive approach to gambling, in general, has no impact on Internet sports betting in the state because the federal laws that are in place to govern sports betting in the United States take precedence over state law. In case there was any question as to the application of the Federal Wire Act, the DOJ's formal opinion was released in 2011 that clarified the nationwide ban on US-based online sports betting. This leaves US gamblers, including those in Delaware with one primary alternative for betting on sports online: licensed offshore sports betting. Thankfully, this alternative comes with some very legitimate, high-quality sportsbooks that are licensed and regulated outside of the United States, legally offering their services to gamblers in the US. Participating in online sports betting at destinations that hold legitimate credentials and are operating legally within the international gambling market does not violate state or federal laws. So to answer the initial question of whether or not online sports betting is legal in Delaware, the question is actually yes and no. Yes, online sports betting is legal at licensed and regulated sportsbooks located offshore. No, online sports betting is not legal through any type of state-regulated initiative. We have included a listing of the leading sports betting sites on this page. They are all legally licensed, certified and regulated offshore, and all accept customers from Delaware. 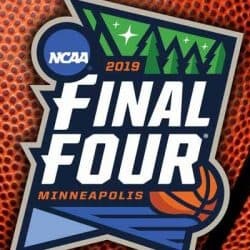 Our team of analysts has vetted the sportsbooks on this page for legitimacy and quality, and only listed those that met our stringent requirements for inclusion. Delaware is unique in that their attitude about gambling is very lax compared to the rest of the nation. Every type of gambling you can imagine is legal in Delaware. And while they don't have any tribal casinos, it's not because tribal gambling is illegal; it's because there is no market for Indian casinos within the state. Indian casinos, by and large, pop up in places like Washington, California, and West Virginia because the state doesn't allow gambling otherwise. With Delaware's laws that allow gambling, this isn't an issue. Tribes being granted special status is not a necessity within the state, so this in itself makes Delaware a very unique location. In fact, Delaware's gambling laws are probably the state's biggest draw, and it may be why the state allows legal gambling in the first place. The state doesn't have any huge stadiums or concert venues or famous parks to show off. Nobody's visiting Delaware to take star tours of the semi-famous city council people who live around the area. When someone comes to Delaware from another state for a visit, it's typically to take advantage of the gambling atmosphere offered by the state. And Delaware actually ends up with a lot of competition. Atlantic City is literally just to the north of the state, and as most gamblers are fully aware, AC is like a miniature Las Vegas. While having no major college or professional sports teams of their own, being close to many professional teams in the Northeast is why so many different professional sports teams are popular in Delaware, especially when it comes to sports betting. If you're going to bet in Delaware on sports, you can show up at one of the state's three live venues and get the job done. Just be careful when you're out at a live location like this. It's very easy to get lost in the moment and to end up losing your money. Always proceed with caution, no matter where you're betting at. 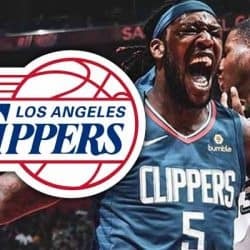 And if you'd rather stay home and use your computer to bet via an online sportsbook, just remember that you're going to need to find a solid sportsbook that accepts US players because if Delaware allows it then it doesn't mean any random site will let you play. While Delaware doesn't have any good sporting teams that its citizens can root for and actually win money on, they do have some very cool places to gamble. The state has three main casinos: Delaware Park and Casino, Dover Downs Hotel and Casino, and Harrington Raceway and Casino. Delaware Park is a very large establishment located directly on the waterfront. They offer over 2,500 slot machines, over 60 table games, and have a very large poker room that features 45 separate tables. They hold massive poker tournaments here, which is a huge draw for gamblers all over the east coast. They also feature a live sportsbook inside the casino, so you can place your bets on your favorite sport(s) and then watch the action unfold in front of you. Dover Downs is a more professional-style casino within Delaware. They don't have as many slot machines, and their poker room is only a fraction of the size, but this place is like a true Vegas resort located in the heart of the state's capital. Just like the casino before it, Dover Downs actually has a live sportsbook. Sports betting is very, very popular in Delaware, despite the state not even boasting a collegiate level team that can actually win a game. There's something about these citizens that continue to bet on sports even bereft their own team, so it makes sense that their casinos offer up a live sportsbook. Their last casino, Harrington, is like the best of all worlds. Not only do they offer slots, plenty of casino games, a poker room, and a live sportsbook, but they're also a racetrack. You can watch the ponies and bet on them here. And we're not talking about some generic horse races. They run thoroughbreds at Harrington, so you never have to worry about shoddy colts that are going to give up before the straightaway. Delaware does it right when it comes to gambling. Other states could easily learn a thing or two.